If it wasn’t for your running habit, you don’t know how you’d cope with life. So, what happens when you injure yourself just shy before getting to the finish line, or while jogging in your neighborhood? Whether you’re a runner, skier, swimmer or cardio enthusiast who’s addicted to daily dance aerobic classes, there is nothing more damaging to the ego, to your lifestyle or to your fitness goals than having to sit out while your body heals from an injury. But does your body have to take a time out while everyone else ‘plays on’ as you watch from the sidelines? Is it just hype—or does kinesio tape really help your injury recovery time? An injury—however minor—can jeopardize an athlete’s success professionally, or cause their personal fitness goals to suffer a blow. One of the best advantages of kinesio tape is its duration. 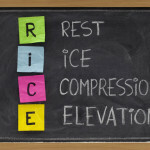 Up to 5 days, it can contribute to around the clock pain control and minimizing of swelling. So, whether you’ve suffered recently from an acute injury or you’ve since healed but are still bothered on occasion when you play sports, kinesio taping gives your injury the quick results you need—in a way that no prescription or rehabilitation stay can do. Whether you’re on the court, track or field, why slow yourself down if you don’t have to? Kinesio tape improves circulation and at the same time, can eliminate muscle cramps by putting pressure on lymphatic areas and helping your body circulate blood flow and oxygen correctly. After an injury, your body can cramp, due to being “clogged” in a particular area or from being overused, but the kinesio tape puts pressure in all the right places, so that you can relieve physical discomfort before it gets worse. A competitive athlete doesn’t have the luxury of sitting out—at least, not when there’s a chance that kinesiology tape can give him/her a shot at getting back in the game. Because of the elasticity of it, you achieve the same range of motion you would have normally, but with additional support for your injured muscle or fractured bones. 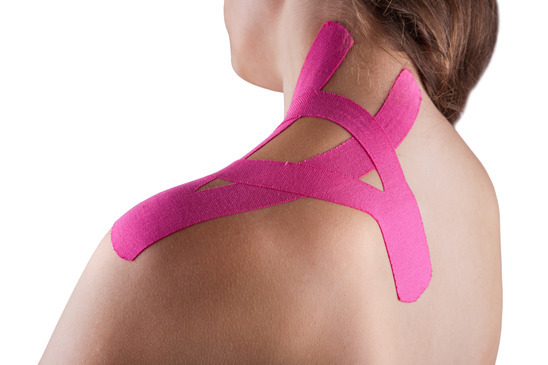 Whether you have a minor or a major sports related injury, kinesio taping has proven to be an effective and popular method of recovery for athletes all over the world. Get in the game faster than you think with a strip of brightly colored kinesio tape—and see what a difference it makes for your performance and confidence!